SSD’s come in all shapes and sizes but one factor that we need to consider is the speed of the SSD. Performance is measured by means of read and write operations. But at this time around Transcend, the leading producer of storage and multimedia products, is happy to announce the availability of its high-performance solid-state drive for Do It Yourself system builders looking for speeding up the system boot times and application start-ups. 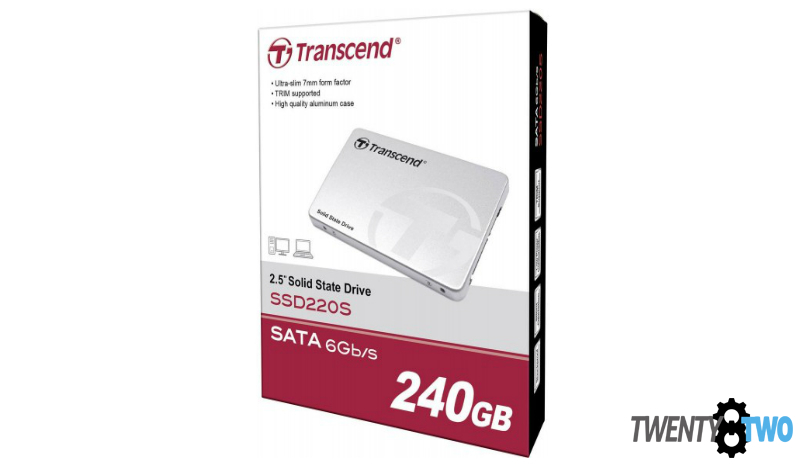 The Transcend SSD220S provides steadfast performance by heightened multiple layers of technology for fast transfer speeds, high endurance, and efficiency, all at an enticing price point. The Transcend SSD220S is rated for 550MB/s transfer speed guaranteeing snappy boot-up times and applications load in a flash so you don’t need to wait to get things done. Featuring a DDR3 DRAM cache which provides incredible 4K random read and write performance up to 330MB/s, it’s the perfect boot and application drive replacement. Experience a more responsive system that reacts quickly to your actions so you don’t need to wait to perform another action. Peak speeds of 550MB/s read and 450MB/s write are achieved via advanced firmware algorithms, high-quality flash chips and SLC caching technology. The Transcend SSD220S guarantees long operating life and ability to optimize itself for long-term usage via built-in technologies to improve the drive as wear sets in. Transcend engineers the SSD220S with a RAID engine and low-density parity check coding to keep data secure. While internal wear-levelling technology ensures data integrity during transmission, improving and prolonging lifespan. The Transcend SSD220S features multiple built-in technologies for maximum reliability including Error Correction Code (ECC) to help detect and correct potential transfer errors, Device Sleep (DevSleep) mode to reduce power consumption and shorten the response time upon wake-up from Sleep or Hibernate, and the S.M.A.R.T. function to efficiently monitor SSD health conditions. More standard mechanisms include Intelligent Block Management and Wear-levelling algorithm to protect data integrity and prolong SSD lifespan. 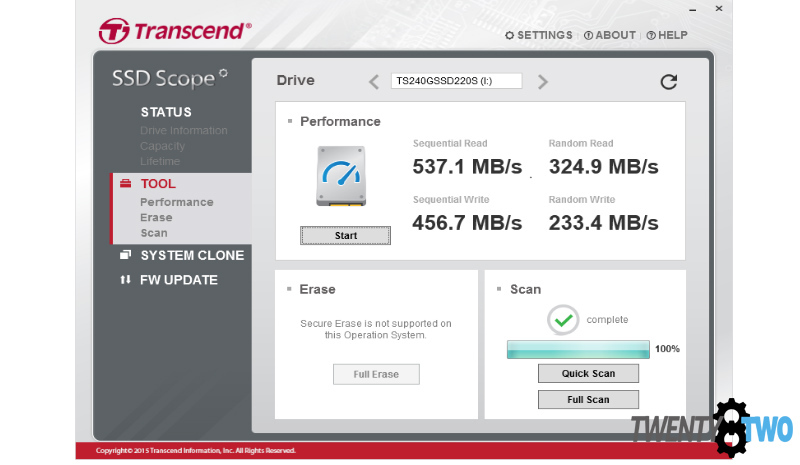 Monitor and maintain your Transcend SSD and keep it running in top condition with the advanced SSD Scope software application available for free download so you can check on your SSD220S’ status anytime. SSD Scope allows you to check and get informed how your SSD220S solid-state drive is doing by providing health status information via S.M.A.R.T. 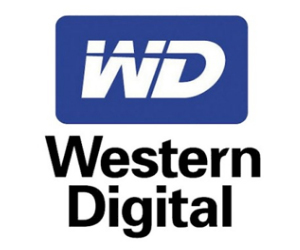 technology, enable TRIM command to maintain optimal write speeds and update the SSD firmware via a single click. All of these are presented in a user-friendly tool for ease of use. 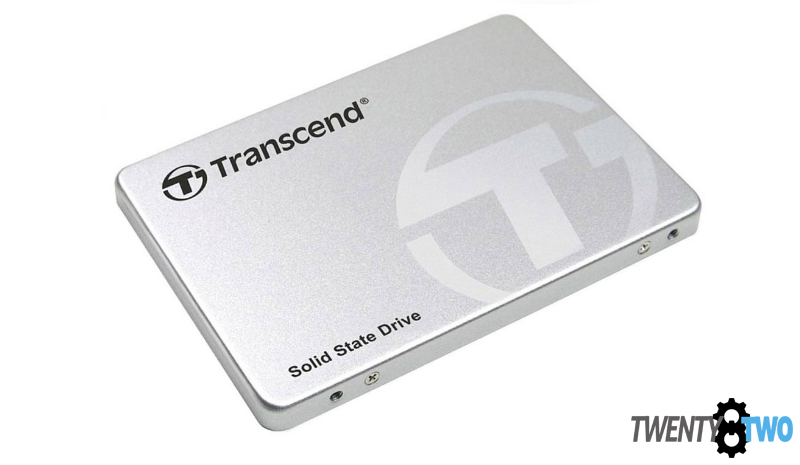 The Transcend SSD220S is a quick and easy way to improve productivity in both your desktop and notebook. At only 6.8mm and weighing at 58g, it fits most modern notebook and replaces the heavier traditional hard drive providing faster application loading times and start-up speeds as well as dropping power consumption to help improve battery life. A 3.5mm bracket is included for desktop upgraders with the easy cloning tool making migration easy via SSD Scope.